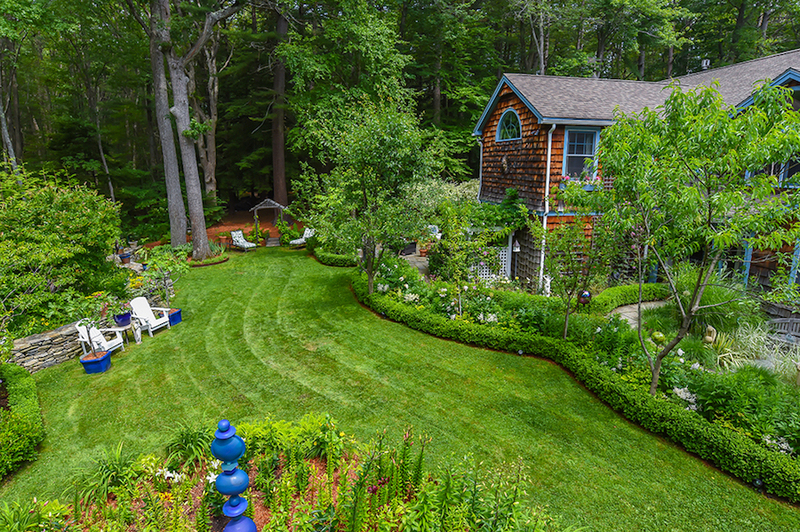 An Open House will be held from 11 a.m. to 1 p.m. on Sunday, July 15. 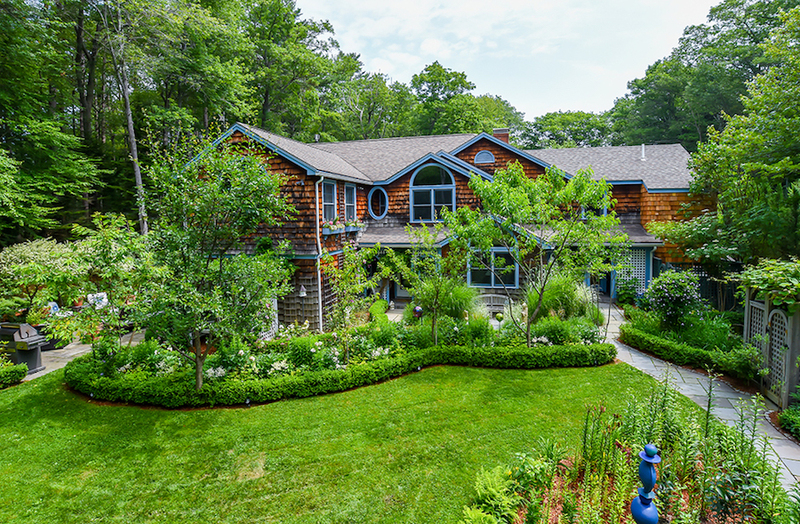 CAPE ELIZABETH – Here is a home that is an inspired work of art, created by the sellers over the course of 32 years. 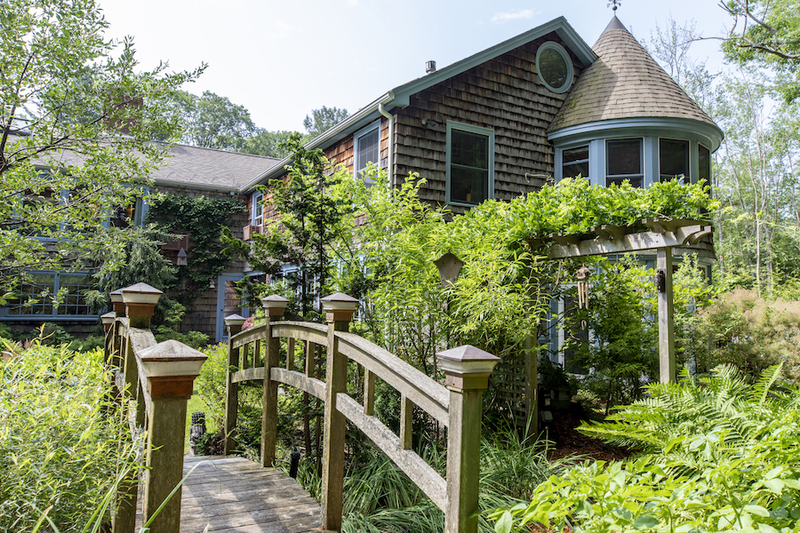 A five-minute walk from oceanfront Fort Williams Park, enveloped by lush gardens and preserved woodland abutting the Cape Elizabeth Land Trust’s Robinson Woods, the freshly cedar-shingled house has been re-invented as a classic English-style cottage. 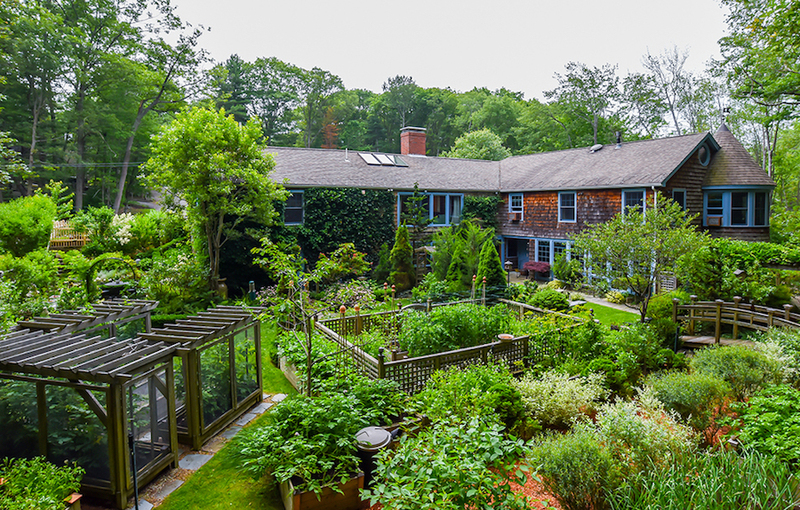 Home and gardens provide a sanctuary to be enjoyed “by ourselves, family, friends, and colleagues,” in the words of the sellers. 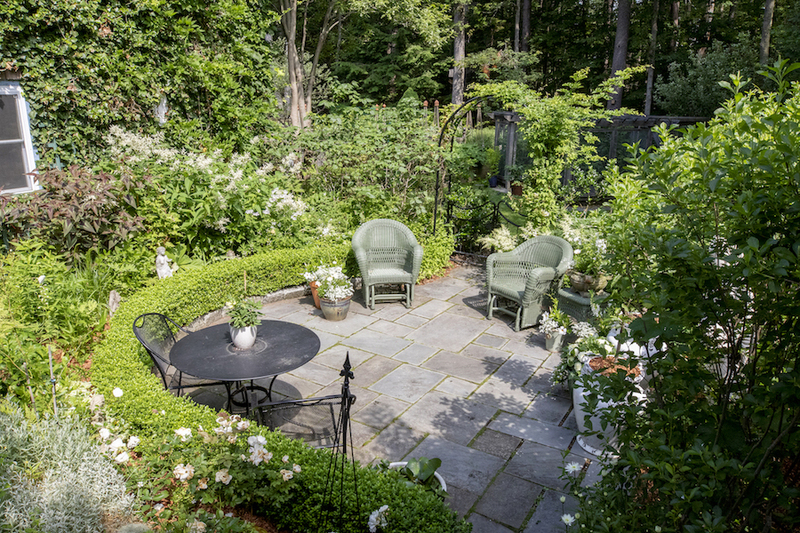 Among the captivating spaces are the Asian garden and bubbling pond; the hidden garden, its flowerings all white; and the bluestone patio garden, which is ornamented by dappled willows and a hazelnut tree, and connects to the fairy and gnome path. 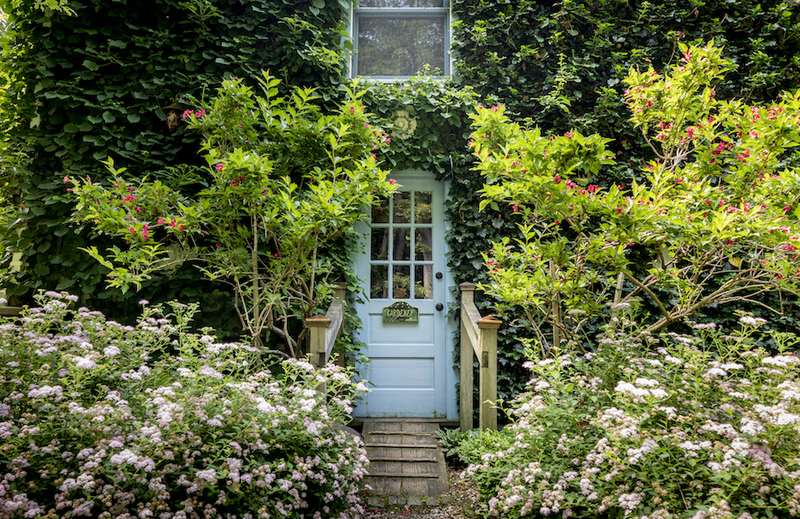 The first-created garden room – a fenced, circular brick patio – introduces a front door wreathed in an arch of bittersweet, reflecting the gardens’ many arbors. 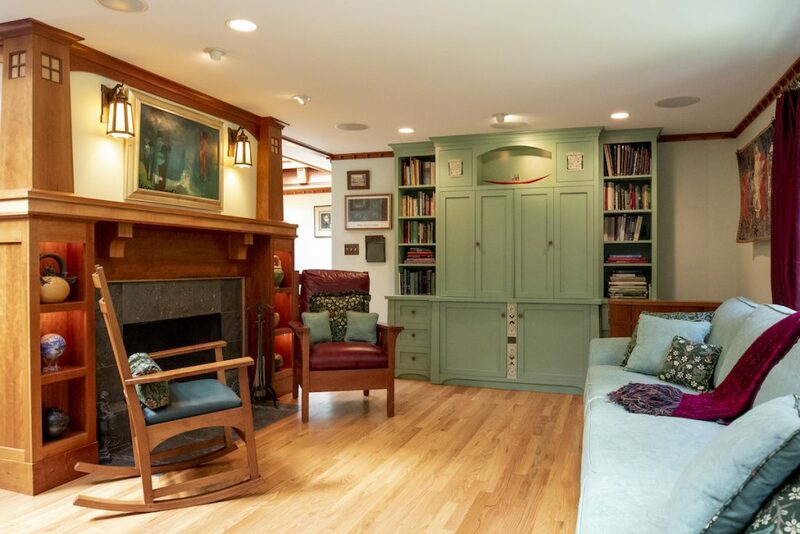 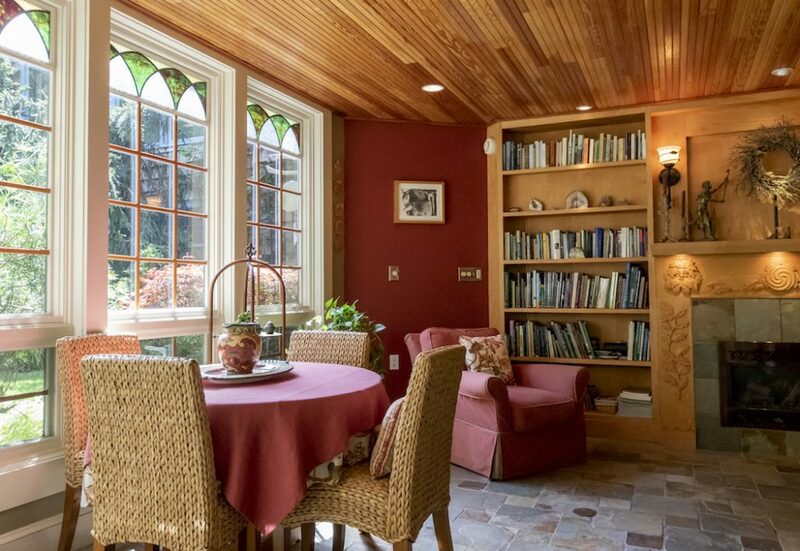 The 10-room, four-bedroom, fourth-bath home was expanded in 2005 to its present 3,869 square feet, plus basement finished space including an office and a library with wood stove. 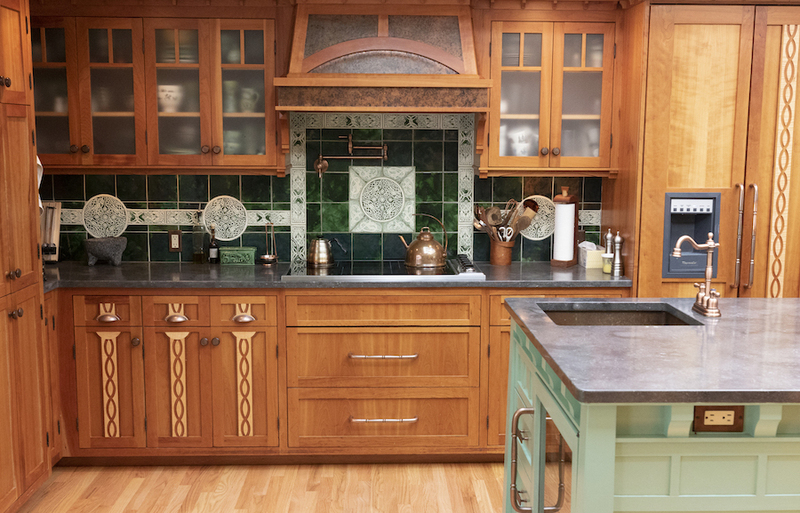 The principal design influence is the Arts and Crafts movement, both U.S. and U.K. 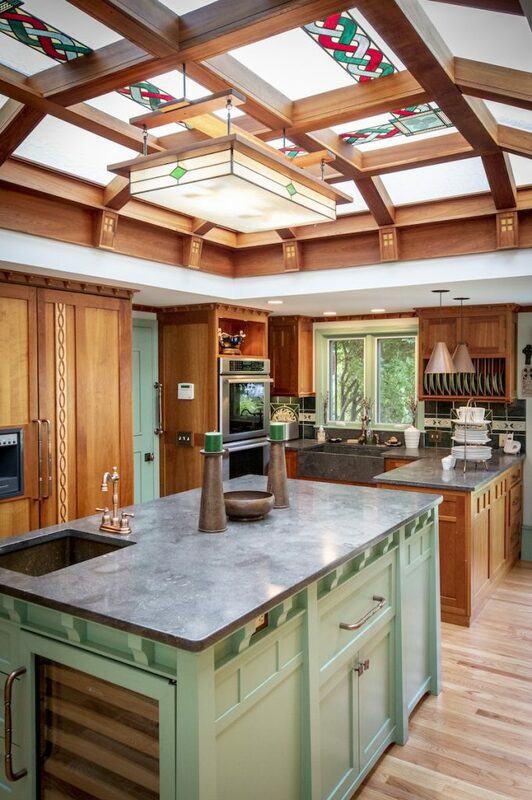 The effect, thanks in part to gorgeous, cherry-and-walnut woodwork, is warm and welcoming. 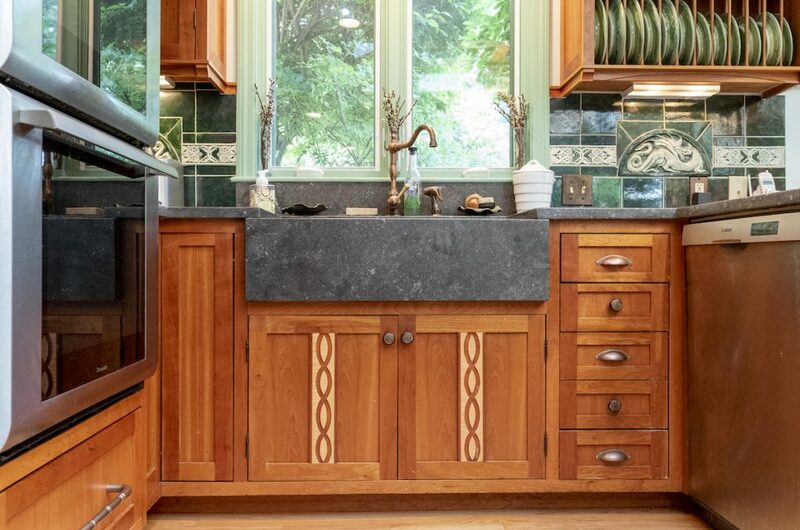 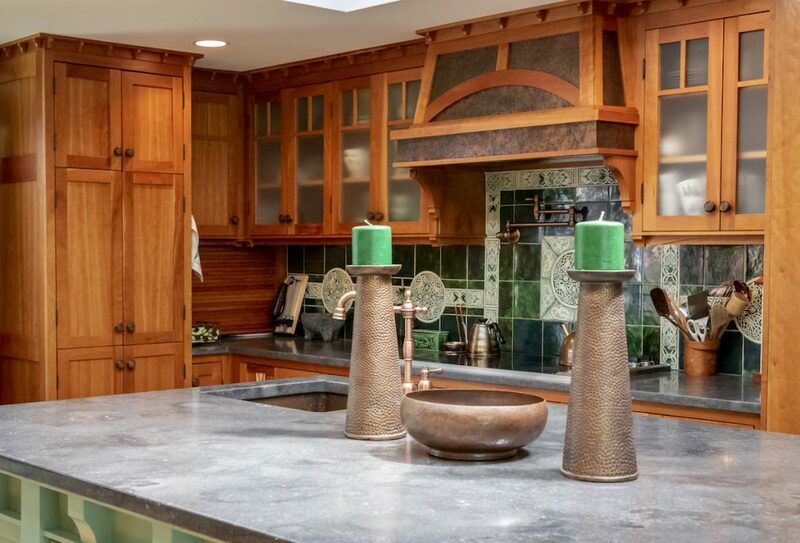 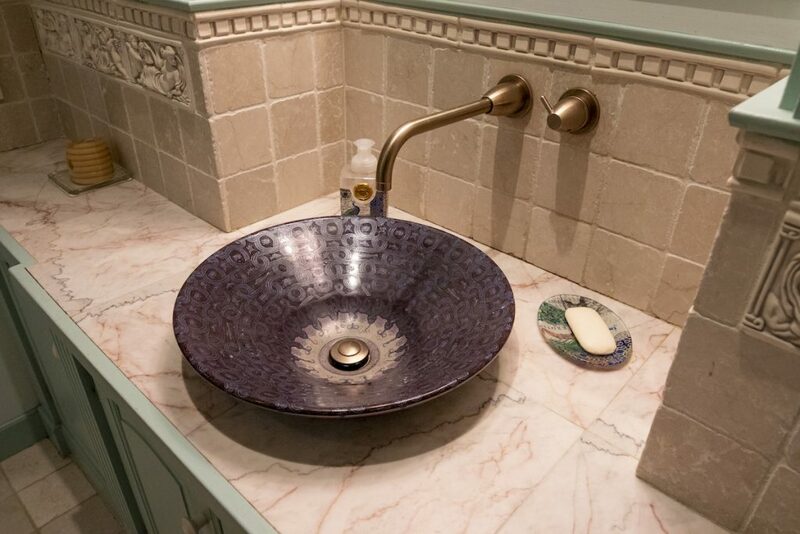 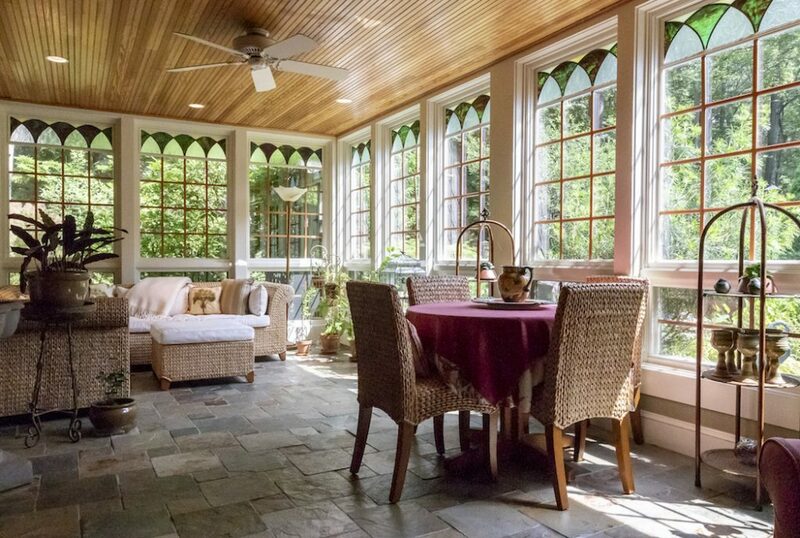 Highlights, too numerous to detail here, included a magnificent conservatory, with porch and summer kitchen; a master suite with a gorgeous, Roman-style bath; 10 hallway niches for artwork; and fossil-“patterned” Irish limestone counters in the updated kitchen. 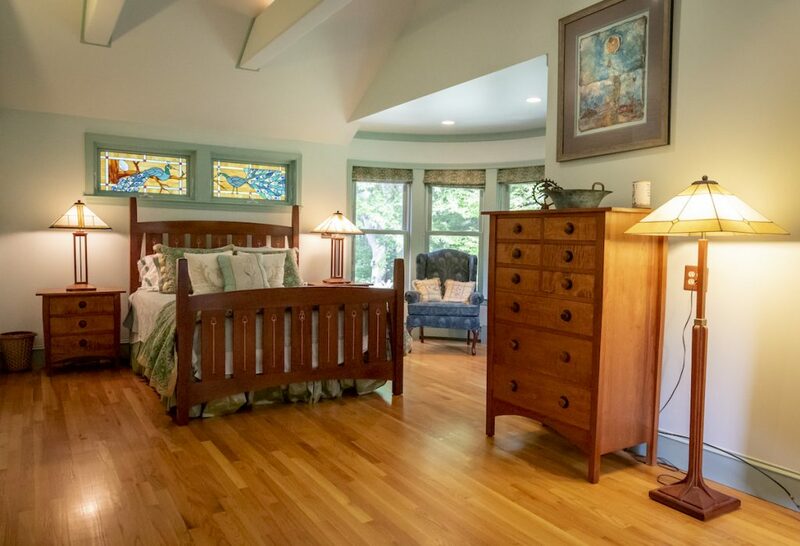 The property is ideal for someone looking to consult, practice or work from home. 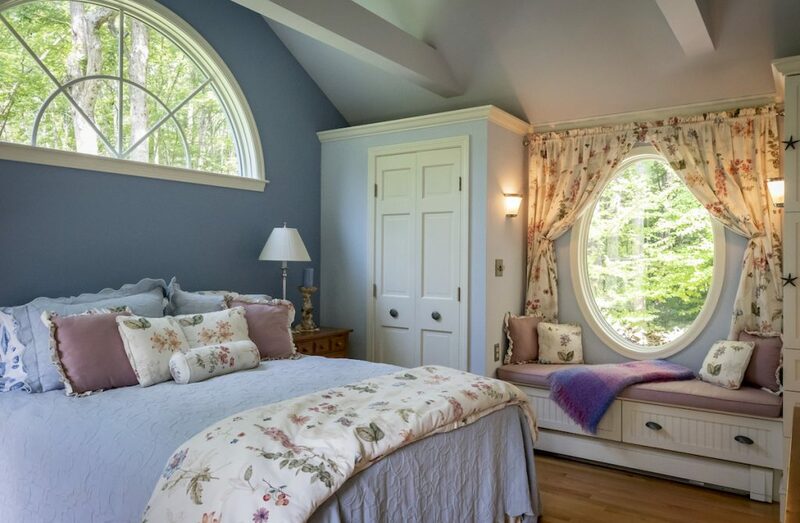 A fifth bedroom served, with town permission, as a personal practice with a waiting room, bathroom and private entrance.